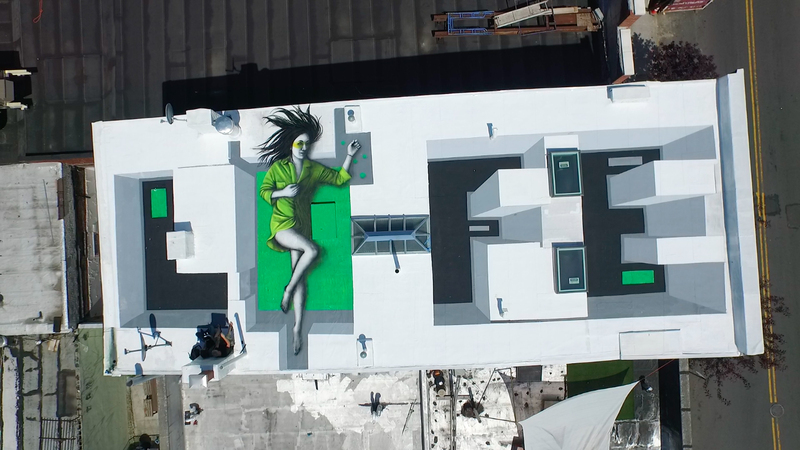 On a rooftop somewhere in Bushwick, New York, Fin DAC and Dean Zeus Colman have been working away on a unique collaboration utilising both artists’ signature work. 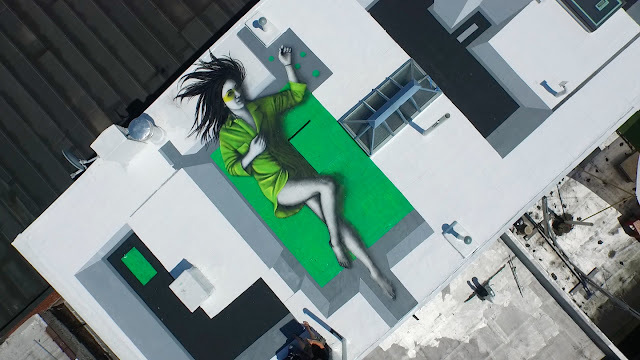 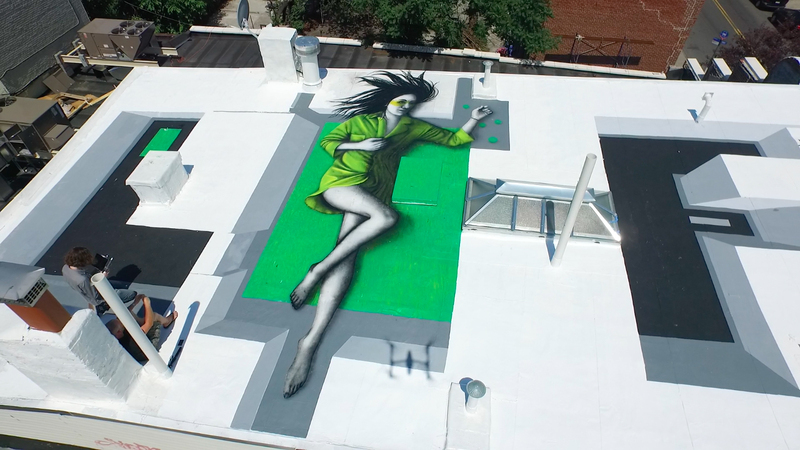 The pair spent 5 days in late June putting together a piece entitled ‘Parklike’ which shows one of Fin DAC’s Asian girls sunning herself in a parkland space nestled between Zeus’ high rise buildings of New York which cleverly spell out the word ‘life’. 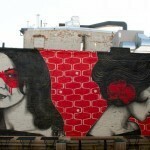 As is the norm with Fin DAC’s ‘hidden beauty’ series of works, he has kept the exact location of the work top secret. 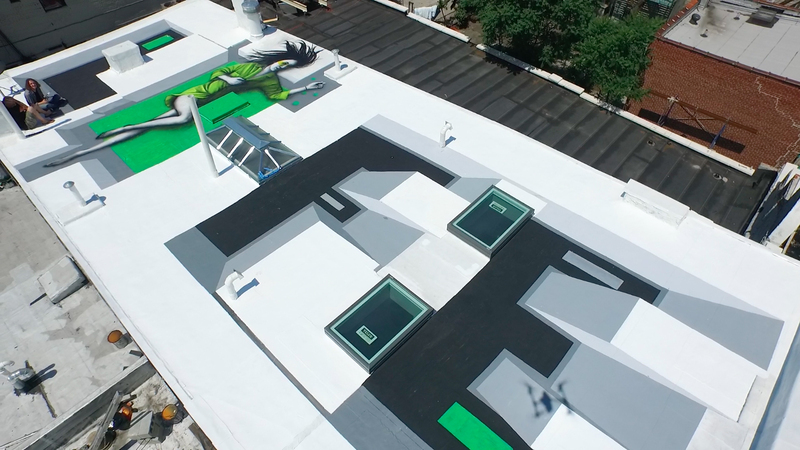 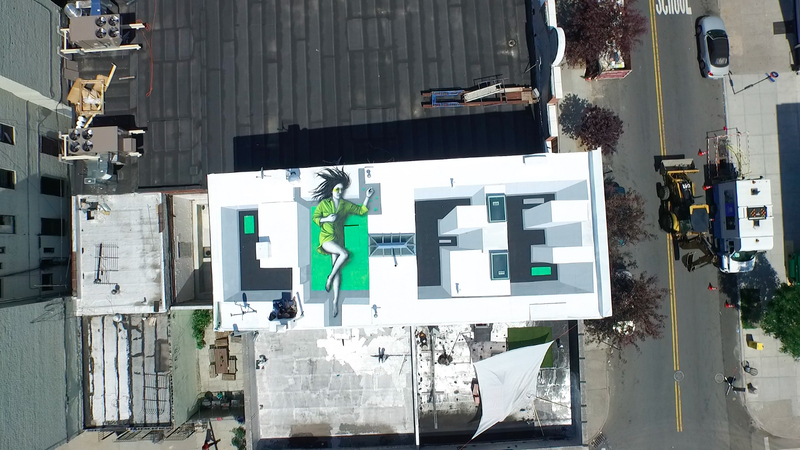 Hit the jump for more drone shots and close-ups of the piece!